Purchased onion from local market of Bangalore, Karnataka was found infested with black mold. It was decided to have a closer look at the black powder like material using foldscope. 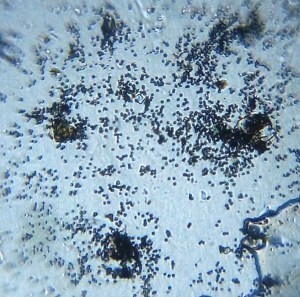 Small amount of black mold from the infested onion was scratched out using forcep and slide was prepared for viewing it under foldscope. The following images of mold and its spores were captured using foldscope. 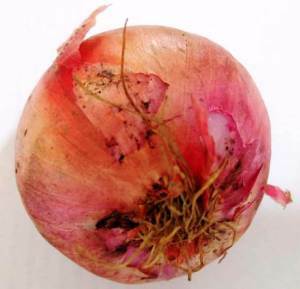 Black mold on onion is commonly caused by a fungus known as Aspergillus niger. 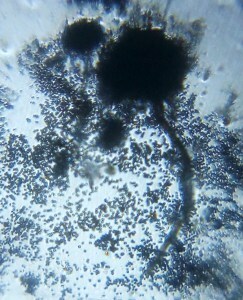 This fungus is commonly found in soil. This saprophytic fungus is generally found on or between the outer scale leaves of the onion bulb. 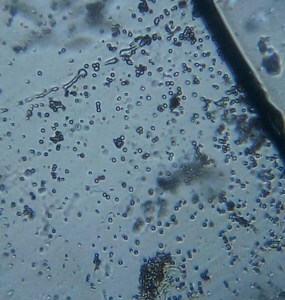 The spore of this fungus spread with the blowing wind and infection occurs on onion surface at high humidity surrounding within 6 to 12 hours. Black mold is a major cause of onion rots at high temperature and high humidity regions of the world.